The Salvation Army Family Thrift Store provides a way for to give hope to those in need by looking in your closets, your homes, and your hearts and donating today, help us make a difference in someone else’s life tomorrow! Funds generated go to support The Salvation Army – Cascade Community Ministry in Abbotsford and Mission. (undamaged items, no rips, no tears, no stains or chipped dishes/glassware please) Please be sure the goods you donate are quality, something you would want to receive or give to a friend. It costs The Salvation Army to remove trash that has been dumped outside our Thrift Stores. This diverts vital funds away from those who most need our support. Your understanding is appreciated. Due to Health Canada’s Health & Safety guidelines, resale-ability, and store storage space, we cannot always take everything offered to us. We are unable to accept mattresses, bathroom fixtures, doors & windows, broken furniture, car parts, paint, chemicals or hazardous materials. Bike helmets, safety jackets, car seats, cribs, baby furniture over 5 years old or missing CSA stickers will also not be accepted. For individuals living in the Abbotsford and Mission areas and would like to arrange a large donation pick up, please call 778.908.2194 to speak with our donation pickup coordinator, Monday through Friday 9:00am to 5:00pm. Please note that due to the high volume of requests received we cannot guarantee same-day pickups. While we will try our best to work with your schedule, pick up appointments are usually scheduled to take place within 5-10 days from the time of the initial phone call. However, schedules may vary based on location, time of year and the availability in your area. Your understanding is appreciated. All financial donations go directly to supporting the Salvation Army’s social programs, serving the Abbotsford & Mission communities. As we continue to take on humanitarian and social challenges, the support of your donations keeps us working to protect those in the community who need us the most. 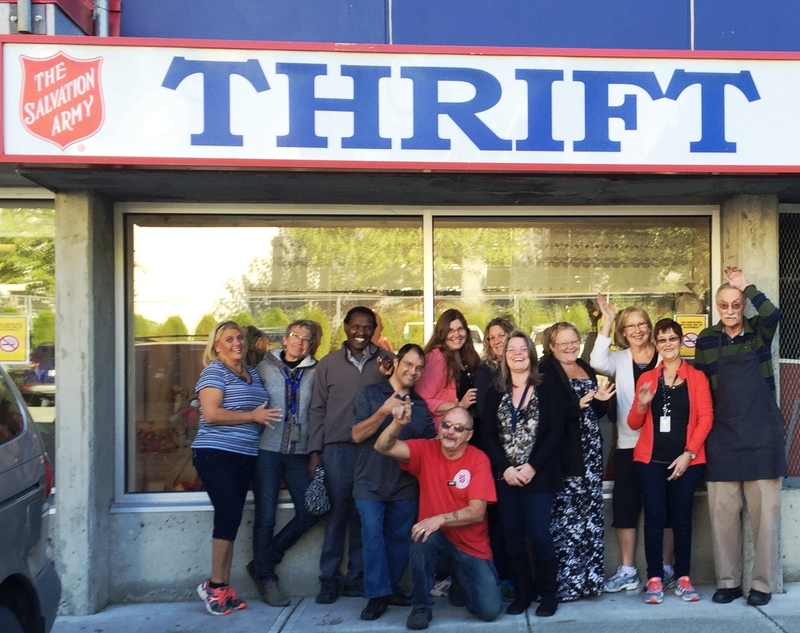 Cash, credit card and cheque donations can be made in person at both of our Thrift Store locations. Please make cheques payable to The Salvation Army Abbotsford. Please do not send cash through the mail. There are volunteer opportunities available in this area! Volunteers can help with food prep, serving, dishes and other cleaning, sorting donations and general duties. We look to have our Food Service volunteers commit to 1 weekly 4 hour shift if possible.